Share your industry expertise and experience by making a presentation at one or more of TRSA’s professional development events! TRSA’s events provide high-quality education and networking opportunities for commercial laundry professionals. Education sessions and webinars focus on current and emerging issues, best practices, and the complex challenges facing our industry. If you’ve got a great idea, best practice or case study that you’d like to share with your peers, then we encourage you to submit a proposal to TRSA’s Call for Presentations! Challenge yourself and give back to the industry by sharing your insights and expertise! You must be a member of TRSA to submit a proposal. To be considered as a speaker, your program must be educational in nature – that is, sales presentations will not be accepted. Presentations that are clearly intended as a “sales pitch” for your product or service will not be considered. Complete the CFP form (see below) in its entirety. Incomplete forms will not be accepted. 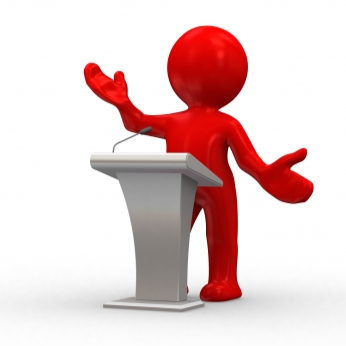 Individuals may submit a maximum of two presentations per event. If selected to present at a TRSA event, speaker agrees to submit presentation materials (slides, etc.) to TRSA staff for review and approval 30 days prior to the event. Generally, TRSA does not pay per diem, honoraria, or expenses for speakers. Speed Session (30 minutes): Concentrated sessions designed for practical applicability. Traditional Presentation (60 minutes): Focus on a single topic or program, typically including a talk or presentation followed by a short discussion with Q&A. Panel Discussion (60 – 90 minutes): Panels must include a moderator and a minimum of three panelists representing different organizations, ideas, or experiences. Hands-on Presentation/Workshop (90 minutes): Hands-on sessions provide participants with an opportunity to engage in teaching activities and interactive discussions about a particular topic. Webinar (60 minutes): Generally, TRSA’s webinars are 45-50 minutes of a talk or presentation, followed by 10-15 minutes of questions from the audience. Using the criteria listed below, a team of industry reviewers evaluates and rates all proposal submissions (submitter name, speaker name and company will remain anonymous). The strongest proposals address these points in their submissions, providing enough detail for reviewers to fully understand what the presentation will entail. If selected to present at a TRSA event, TRSA Operator Members receive a discounted registration to attend the full event and Associate Members are required to pay the registration fee in full. You’ll want to refer to your “speaker details” email for specific registration information. Additionally, speakers are responsible for their own travel expenses, unless otherwise approved by TRSA. You must use the TRSA proposal form to submit your information (Download the TRSA Call for Presentations Proposal Submission Form here). You will be notified that your submission was received. TRSA committees and task forces review the submissions during the start of the planning process for each event. If selected, you will be notified immediately.